Latitude Festival just gets bigger and better with new additions being added daily to the already staggeringly impressive line-up. Joining the abundance of talent is dapper Strokes guitarist Albert Hammond Jr who is enjoying a stint of solo success with the release of his debut album Yours To Keep. Released through Rough Trade, his music is under-stated yet sentimental and heartfelt. His beautiful melodies and a sweet voice make Albert Hammond Jr a welcomed addition to the Uncut Stage at Latitude. Headlining the Uncut Stage on Saturday night are the fast-fingered, Dublin-based Mexicans Rodrigo Y Gabriela. Their music is difficult to define, straddling both world and rock, and often imbued with Hispanic, classical influences. But their life-long passion for metal and classic rock make them mind-blowing acoustic guitarists who really sound quite like no other. Expanding the breadth of genres that the festival encompasses, Latitude is please to announce that the BBC Award for World Music winners Tiniwaren are confirmed to play. Their unique fusion of Toureg folk songs with electric guitars, has earned them the description The Rolling Stones of the desert and has made them a part of a musical heritage that includes early US bluesmen and generations of desert singers and musicians. Last years Latitude festival showcased some of the very best in up and coming acts and this year is no different with bright new artists and bands playing alongside more established names. Confirmed so far are 23 year old Irish born folk/rock/jazz singer Wallis Bird and Manchester-based sultry singer songwriter Karima Francis. Headlining this years event on the main Obelisk Stage, Latitude are pleased to announce Dublin born global phenomenon, Damien Rice for the Friday, the Damon Albarn-fronted and super-cool The Good, The Bad And The Queen for Saturday, and the epic, and euphoric Arcade Fire closing the festival on Sunday night. But of course, Latitude is so much more than a music festival. Latitude can boast the exclusive involvement of BAFTA with Screenings, Directors Q and A’s and Alfred Hitchcock’s The Lodger accompanied by a live orchestra; comic and satirical stars from the world of Radio and TV including Alan Carr, Stewart Lee, Mark Steel , Russell Howard and The Early Edition with Marcus Brigstocke and Andre Vincent, a vast array of authors involved in the legendary Vox n Roll book readings and Robin Inces Book Club with guests Simon Munnery , Josie Long and Jo Neary amongst many others. Royal Court Theatre and Nabokov Theatre Company both bring exciting new shows to the Theatre Arena plus stellar poets Roger McGough and John Hegley as well as Polar Bear and Luke Wright are all confirmed for the Poetry Arena. And thats not to mention Moulin Rouge Cabaret at the Cabaret Tent and a headlining DJ set from Radio 1s very own Rob Da Bank at the In the Woods stage! This is the first festival Ive been to that has made a real effort to bring quality theatre into the equation. Times On-Line. For the second year running BBC Radio 4’s Loose Ends will be coming from the Latitude Festival where there will be another chance be part of the audience for the award winning programme with its eclectic mix of live music, stand-up comedy and conversation. Roger McGough will be presenting two editions of BBC Radio 4’s popular poetry request programme Poetry Please from the festival stage (requests for favourite poems to poetry.please@bbc.co.uk in advance of the Festival) and five Festival authors take to the stage to read specially commissioned new short stories for broadcast on Radio 4. Fopp is pleased to announce that Electric Soft Parade will be doing a mini tour of 3 UK Fopp Stores during April. See their live in-store performances in Glasgow (Union Street), Bristol (Horsefair) and Southampton (Marlands)! Most of us know that Tom and Alex White are from Brighton, that they pretty much put Brighton on the music map and that theyre tireless musicians, intent on breaking musical systems, formulas and public perceptions. 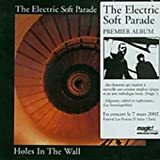 Most of us also know that 2002 saw Holes in the Wall (DB Records) released to great critical acclaim. Everyone loved it: the past and the future collided on one record, all the boxes were gloriously ticked, and the accolades (Q best new band award, Mercury Music Prize nomination) came rolling in. In 2003 the White Brothers released ‘The American Adventure’ (SonyBMG). It was a further slice of futuristic rock, but this time recorded in analogue. It replaced the synthetic pop of its predecessor with the analogue growl of rawer recording techniques. It received further acclaim and again saw them tour extensively in the interim. Its 2007 and its happening again, the White Brothers are in further ascent, but this time in a different mode and solely on their own terms. Working with friends at Truck Records and fellow colleagues in the US at Better Looking Records, the music is rolling. From the soft opening tones of No Need to Be Downhearted (Part 1) through the fairy-tale narrative of Woken By A Kiss to the piano rock of Cold World, theres a universe of sound here, all underpinned by the White Brothers endless harmonies and that feeling that their records somehow come from the future, even when theyre paying homage to Americana or French Cinema, as in Come Back Inside. The unceasing energy of these boys shines through in all their endeavors: both continue to play with Eamon Hamilton and Marc Beatty in funky-punk-disco super group Brakes whilst contributing to a number of other Brighton-based projects, too: Alex recording and playing live with noise-harmonists Actress Hands, Tom providing drums for instrumental hip-hop collective Restlesslist. And now, with a brand new album of their own, they’re at it again, this time as space-age power-balladeers and digital terrorist-rockers. The world is still their oyster. On the morning of the 13th of February 2007 the Band “Borne” had no idea what was about to take place. 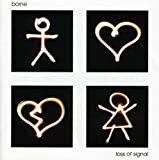 The boys were excited about their album “Loss of Signal” being made available all over the world and thought a large audience might be exposed to their music. But everyone was overwhelmed by the amazing worldwide response. The guys have always valued the online community and appreciated the level playing field provided by the MySpace and YouTube revolution. On the 23rd of Febuary Loss of Signal was sitting in the top 20 on the Amercian Billboard Digital charts (billboard) as well as being catapulted into the TOP 50 in Japan and New Zealand, the TOP 20 in the UK and Canada, and the TOP 10 in the USA, Australia and France on iTunes. With the single getting airplay on stations in the USA like Indy 103.1 and securing deals with advertisers and films in the USA, the word on Borne is certainly starting to circulate with powerful decision makers. With the success of the two previous EPs, “BORNE EP” and “Souls on Satellite”, Borne is set for another busy year touring, with talk of a European tour in May and a possible trip to the USA in 2007 to promote “Loss of Signal”. 5 song sampler: Get it here! Pete Dohertys legendary outfit treat fans to a unique performance at NW1s two-day live music extravaganza in London, Wednesday 11th April – Babyshambles are to kick off this years Camden Crawl festival with a one-off MySpace Secret Show for a select group of fans on Thursday 19th April. Here’s the catch – Only the bands MySpace friends will be able to gain entry to the Secret Show. So to be in with a chance of getting on to the list for the gig, ticketholders to the Camden Crawl should sign up to the Secret Shows profile at myspace.com/secretshowsuk, and to the Babyshambles profile at myspace.com/babyshamblesofficial , and put both profiles in their MySpace Top 8 “friends”. Fans then need to show a print out of their MySpace profile to staff at the Camden Crawl ticket exchange when they pick up their wristband for the festival. Entry is on a first come, first served basis, so only those lucky enough to be at the front of the queue will get to enjoy this exclusive gig with one of the countrys most talked about acts. The show will offer fans a rare chance to see Babyshambles in an intimate setting. 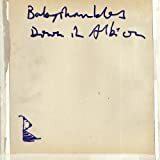 The bands new album, the follow up to 2005s Down In Albion, will be released in the autumn on their new label Parlophone, and Babyshambles will embark on an arena tour in November. The gig is set to be the surprise performance of the Camden Crawl (Not really a surprise any more is it… – Ed), joining the official line up of over ninety of the most exciting new talents appearing at fifteen central Camden venues over two days, as well as a range of matinee performances, fringe activities and aftershow parties. More info can be found at myspace.com/thecamdencrawl.